Vertigo - you defendeth yourselfeth far too mucheth. If you suggest that a sane person decides that you are wrong, must you not then be insane? But you absolutely are not. Nor is your proposition crazy. Nor is the case hopeless. If your intention is not to compromise, then I think you need to start again. I want heat; I want light; and I want it in my house at the touch of a button. It is available. I can buy it. So that's what I do. However it is entirely wrong that I should be held in any way responsible for how I get it - ie that the cost to the environment is the price I pay for my indulgence. It is simply far too easy for us just to sigh, roll our eyes and go "Oh well ...."
How it comes to us is not part of our deal with the power companies and their suppliers: it is they who make that choice. They will argue that our demand for cheap energy determines how they make it. Fine - but how many of us believe that? Cheap for us or cheap for them? So my position is I do not expect fingertip control of my central heating to come at no cost to the environment - or in this case, to the hills - but I expect that cost to be considered, properly consulted and sensitive - and limited. Do I want pylons across the hills? No. Would I be happy to split a tenner a year with the power companies to stick it underground? Yes I absolutely would. So I think would they (fabulous PR) - they only have to ask. I have read Simon before on mixed use of the mountains. He sees that co-habitation as a fait accompli and is comfortable with it. So am I and I happen to agree with him but my issue is less what is done than how it is done. Burning fossil fuel is fine if it is managed better. Nuclear can be fine too. Windmills will also be fine in twenty years when they are half the size and twice as efficient. Some time back I bemoaned some work being done at the Middle Bridge, Glen River, Slieve Donard, Mournes. In my view it was destructive. Simon was interested enough to go and research it. It turned out to be a Hydro Board job. The work is finished and has been for a year or so. And in truth you would barely know they had been there. I write "barely" because there is some cost - but I am good with some cost and barely any. Very good. Here is a thing - no one consults with people who might disagree with them, so if we disagree, we need to be more vocal. 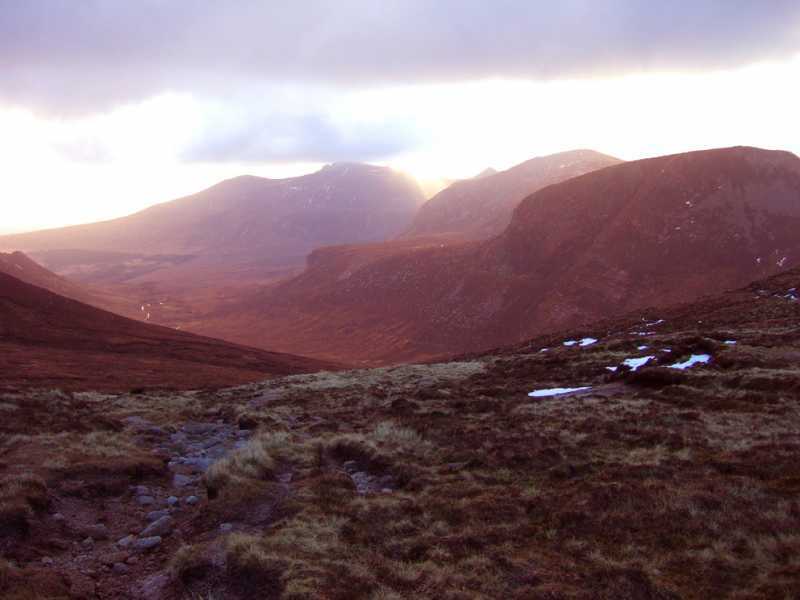 The profile of modern hillwalking - 50+, public sector, early retirement. Not known for street protests. Whose fault is that?